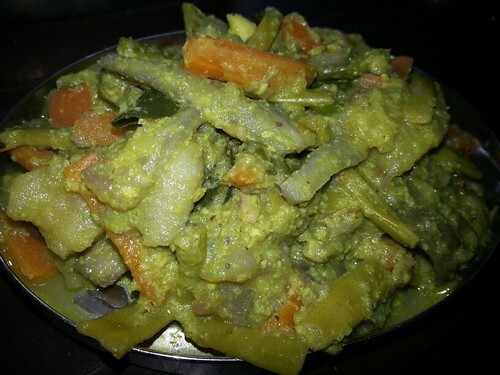 Avial is a vegetable curry from the south of India. 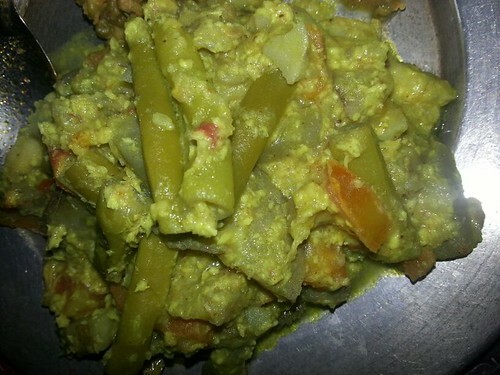 Moreover, Avial refers to one of the foods from India which is made from mixture of vegetables, coconut paste and green chilies. 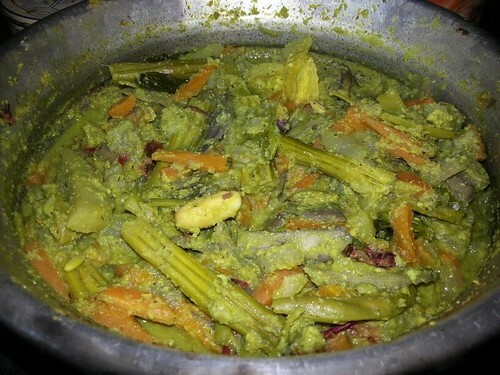 It is seasoned with a spoonful of fresh coconut oil and some raw curry leaves stirred in immediately after the dish is taken off the stove.